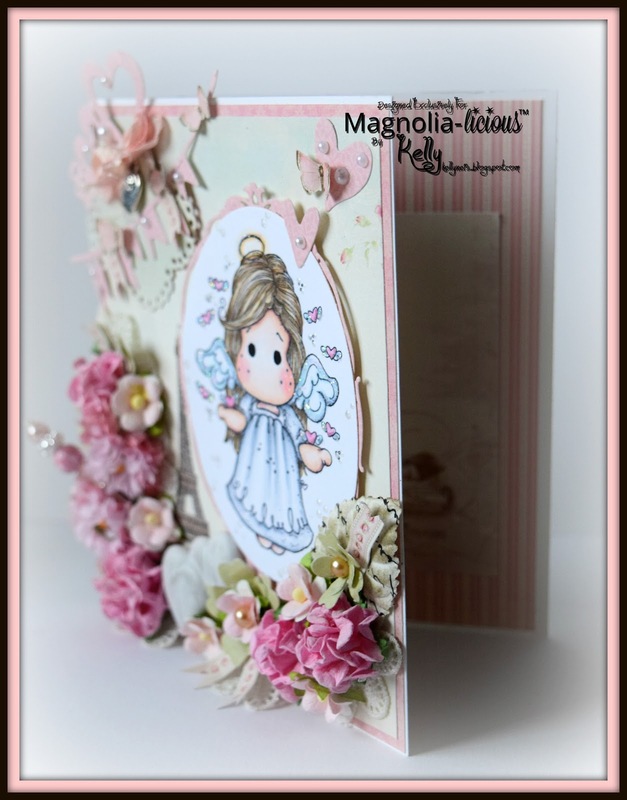 Today I am sharing a card with you for the newMagnolia-licious Challenge Love and/or Hearts. 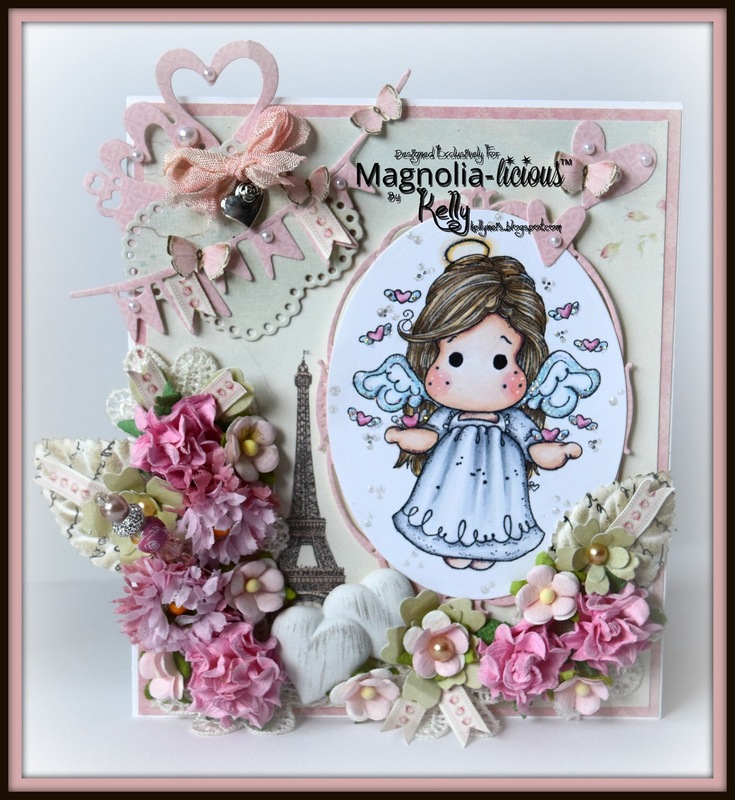 We have a new collection in the store called A Touch of Love, I used Miracle Tilda. 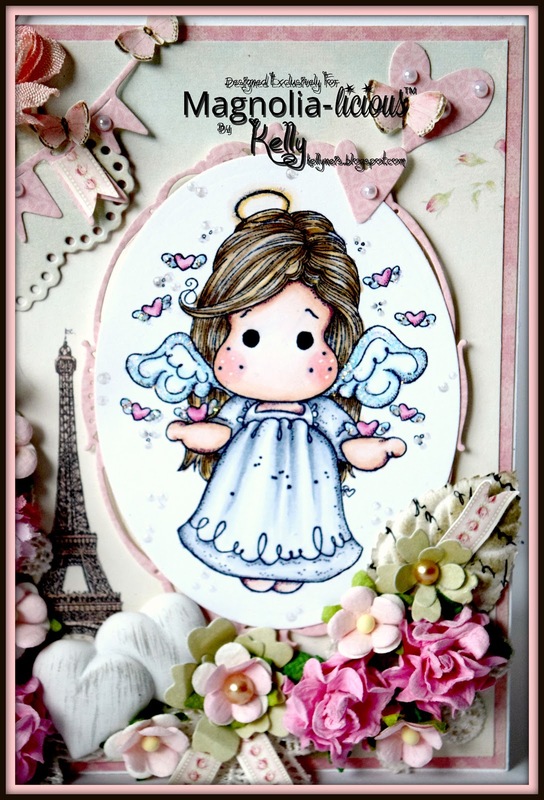 I love this image as I can see her in my Bible journaling spreading love when the text talks about it. 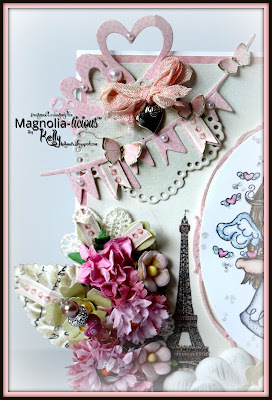 I indulged in the Pion Papers, various flowers and doohickey dies for this card. The banners are cut from the Pion paper strips as well as the butterflies. 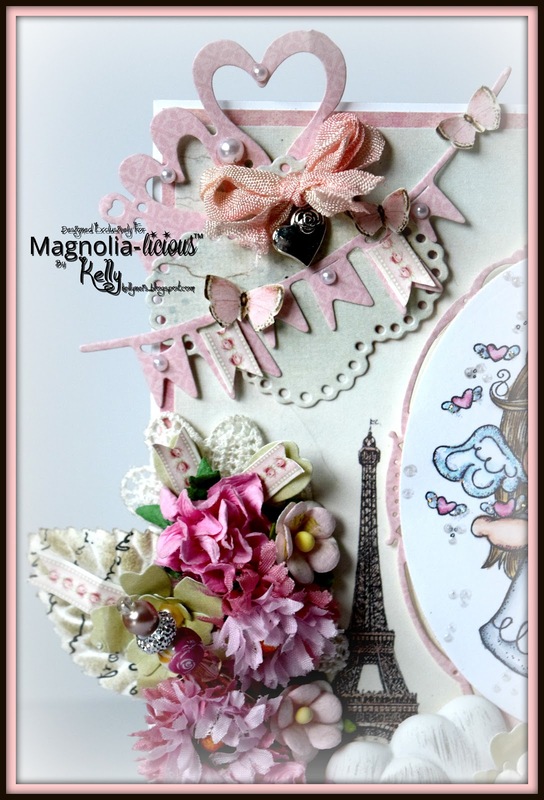 That paper has everything you need to make a card elegant and romantic. I love papers in case you didn't know. A closer look at the doohickey dies from Volumn 5 and the cut Pion decorative strip I used for banners throughout the card. 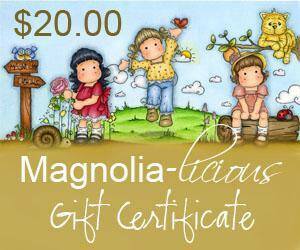 Magnolia-licious is offering a $20.00 gift certificate in a random drawing for the challenge so I hope you join us and enter your Magnolia creation. Thank you for stopping by my blog today and please visit my teammates too. Gorgeous card! I love all that pink and those spectacular flowers. 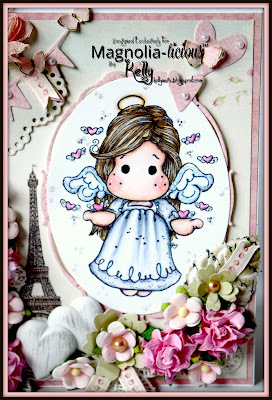 Thanks for entering the Ribbon Girl 'any image' challenge with your gorgeous card Kelly - good luck! So pretty in pink - and your colouring, as ever, is impeccable!